Brain in epilepsy. 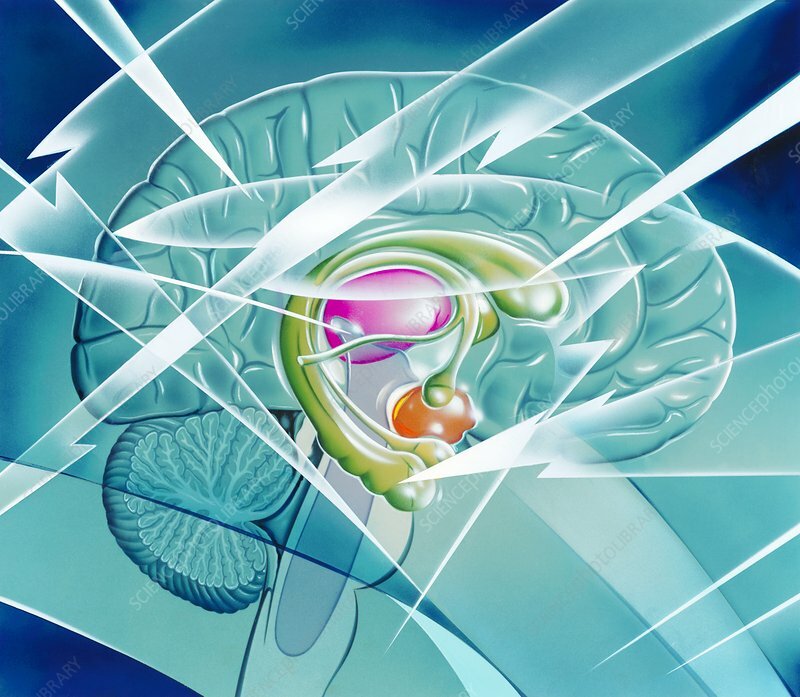 Artwork of lightning flashes across a side view of a sectioned brain, representing a brain being struck by electrical activity. Epileptic seizures are caused by abnormal electrical activity in the brain. The normally ordered electrical activity associated with brain function becomes chaotic and unregulated during a seizure. In some cases, a stimulus, such as flashing lights, can trigger an attack, but normally there is no apparent cause. Epilepsy is thought to be caused by disease or injury, and may also be inherited. The coloured structures at centre are part of the brain's limbic system.